QR (Quick Response) codes can make classrooms more efficient and interactive. Instead of typing in a web address, a student can open an app and point his or her device’s camera at the code and walk away with a website, audio, or video open in his or her web browser. QR codes store information in an image made up of tiny squares, and anyone can create them. It’s been a couple years since I blogged about QR codes so it’s time for some updated information. There’s a version for iPhone, iPad, Android, Blackberry and Windows Phone. It works fast. Faster than any other QR code reader I’ve tried. It works at extreme angles. Even students sitting off to the side of a screen with a QR code can scan it. There’s a history of the last 50 items you’ve scanned. Links are automatically opened in Safari. I’d rather view pages and multimedia in Safari instead of a reader app’s own browser. There’s not a version of of i-nigma for desktop computers. Scanning codes with a webcam isn’t ideal, but it can be done. I like webqr.com for scanning codes on desktops and laptops because it is simple and free. It’s only supported in three browsers: Google Chrome, Firefox, and Opera. Note that you will have to give webqr.com permission to access your webcam. There's also the Chrome extension ScanQR, which works pretty well on Chromebooks. I almost always create QR codes on a desktop or laptop computer. That’s because I usually like to display them on a project screen, and my laptop is already connected to that. If I want to print or incorporate the QR code into a document, I’ll probably be doing that from my desktop or laptop. If you make your code on your iPad and want to save it, there’s not a good way to name it, which can be problem since all QR codes look similar. Oftentimes when someone makes a QR code on his or her iPad, I’m asked the question, “How do I get this on my laptop so I can print it?” or “How can I get this on my computer so I can put it in my newsletter?” Creating on a computer in the first place eliminates the extra steps of having to transfer it. You are not required to log in. It works well on desktops, laptops, tablets, and smartphones. QR codes are generated as you type. There’s a live preview image provided. On desktop and laptop computers you can simply copy and paste or drag and drop the live preview image. 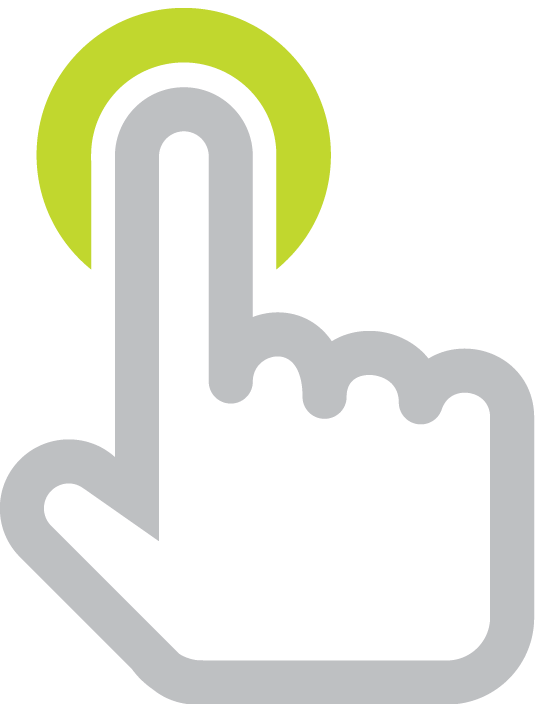 Click the Download button on mobile, desktop, and laptop devices to save a PNG or JPEG image file. Click Download and you can choose foreground and background colors. The one advertisement on the page is not intrusive. The site takes privacy seriously. If your school blocks goqr.me, don’t worry. There are dozens of free websites that will generate QR codes for you, including qrstuff.com and qrcode.kaywa.com. If you need to generate a lot of codes, try the Bulk QR Code Generator. It costs only about $65 on Amazon. It’s USB and comes with software for Macintosh and Windows. It’s a thermal printer. It only prints in black and white. However, you never have to buy ink! The printer automatically cuts each sticker for you. You can buy a roll of replacement labels for about $11. With the size of sticker I typically print, a roll can produce about 500 stickers. That’s 2¢ per sticker. It comes with P-Touch Editor Software for Macintosh and Windows, and includes its own QR code generator and clipart. Here’s a P-Touch Editor file I use as a template for my stickers (it has the right orientation and size–you can change the border, add text, and import images). Brother lists the printer as discontinued, but you can still order it. Newer models probably work just as well. There’s the USB QL-700 and the wireless QL-710W (which has an app you can print from). I haven’t tried either of these since my QL-570 has worked so well for me. QR codes are just images. They don’t have to be printed on special paper or a certain size. QR codes can be huge or they can be very small (but not too small). Always test your QR code to be sure it scans properly. Roll & Reflect: Scan the code to get a random reflection question. Roll the dice for a mobile site to communicate your reflection. Quotes: What’s missing from these education and technology quotes? Make a guess and then scan to code to see if you’re correct. Readbox and QR Codes: Construct a Redbox-inspired classroom display with book trailers. Roll the Dice on QR Codes: Create dice with QR codes that lead to Google Slides. If I Need Help: Non-profit organization provides QR code IDs for those unable to communicate their needs. QR Codes & Task Cards: Teacher describes her solving equations activity. Rhyming Words: Students scan, listen, identify and check rhyming words. Building a Talking Museum: Learn how to use RecordMP3 to make audio QR codes. Sharing Work: Ann Feldman shares a photo of how students displayed their blog posts, Stick Around puzzles, mind maps, and cold reads. Occasionally after I bring up QR codes, someone tells me that QR codes are outdated and the future is augmented reality (AR) with apps like Aurasma. I think AR is engaging and students certainly think it is cool. But, QR codes and AR don’t have to be used to the exclusion of each other. You can have both! Richard Byrne at Free Technology for Teachers wrote QR Codes and Augmented Reality - When and Where to Use Each. QR codes can be easily created and scanned using different apps and websites on a variety of computers and devices. This is great for Bring Your Own Device (BYOD) classrooms. QR codes are standardized. If the website you used to make the QR code goes out of business, your QR code will still work (unless you chose to create a dynamic code, which you probably did not). QR codes are easy to create. They may not be 3D and flashy like augmented reality, but QR codes can be created in seconds. QR codes can be printed or projected. QR codes can be large or small. You can scan a QR code and put it down or walk away. What you scanned will still be on your screen. When you see a QR code, you likely know what to do with it. In addition to displaying text or opening a URL, QR codes can add items to a calendar, add contacts to your address book, dial phone numbers, start emails, send text messages, and more. Maybe you’ve encountered QR code haters. I have. I think they are annoyed that marketers overuse them. They consider QR codes ugly and a waste of time. 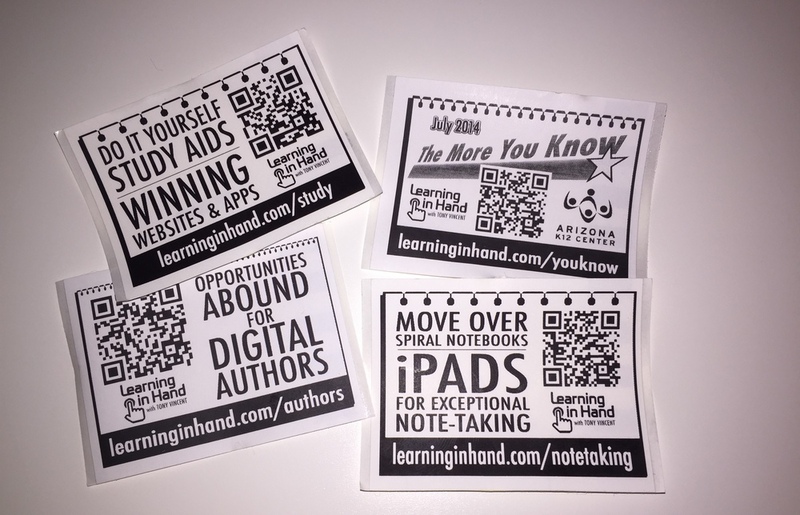 Haters may not understand how powerful QR codes can be for teaching and learning. For a teacher, simply taking students to a URL without waiting for them to type (and mistype) the address is dreamy!